For you who didn't guess... We can now properly announce that we're working on a sequel to Toxic. Toxic has been one of the most popular games we've done with MTV Arcade and we're thrilled to be making a sequel with them! Although we're still very proud of the original, we think our skills have improved since making it, so the first thing we have done with the game is a complete overhaul of the game engine - making it slicker and more robust. 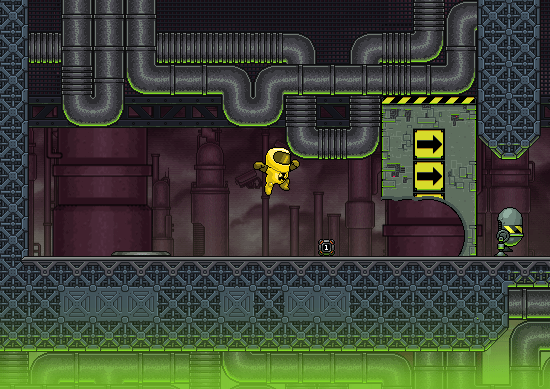 We're not going to give too much away in this update... but here's an early screenshot to whet your appetite!